Prior to his bronze medal feat at the Commonwealth Games in Glasgow last year, Hoe Wah Toon, a Singaporean gymnast, had never won a medal to make it to the podium in his entire competitive career. The 25-year-old gymnast participated at three Southeast Asian Games in the year 2005, 2007 and 2011. He was also the first Singaporean gymnast who was able to proceed to the 2006 Commonwealth Games. Unfortunately, he has failed to reach the podium in every competition that he participated in. Hoe even took a three-year break from gymnastics, keeping himself busy with his National Service, in order to “take his mind off things”. Eventually, he was convinced to return to the sport and participated in 2011 SEA Games, but he ended up with the fifth place. Despite of constant failure, Hoe found a new motivation thanks to his new coach, Zhang Yu, who assisted him on making a significant improvement in his routines. He finally saw the fruit of his efforts years later, in Scotland, when Hoe made it to the finals of floor and vault events, and finally finishing third place to win Singapore’s first-ever medal in the routine. Aside from that, the Singaporean gymnast only trained for around three months in preparation for the Commonwealth Games, as he was previously on a seven-month long break in order to concentrate on the final semester of his dentistry studies. Remarkably, Hoe only trained for around three months in the build-up to the Games, as he was previously on a seven-month long break to focus on the final semester of his dentistry studies. He has also competed in just two events, compared to his usual routine of competing on four events, in order to make way for his exams. “All this while, I’ve wanted a medal at a major international Game, so that’s why I kept pushing myself,” he said. “To juggle school and gymnastics was really tough; it was partly because I really wanted a medal [that I persevered]. 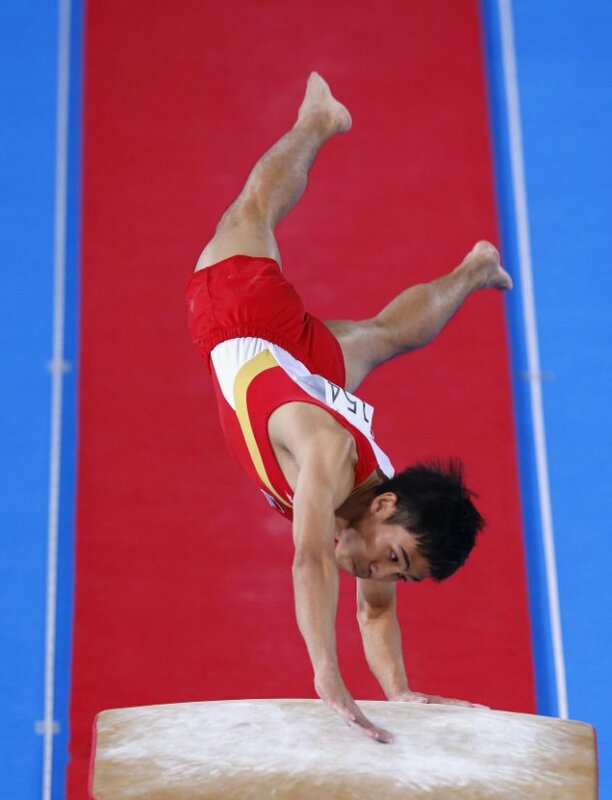 The Singaporean gymnast Hoe started training gymnastics when he was as young as 7 years old. He followed the footsteps of his sister who was also introduced to gymnastics by her father. Hoe recalls that during the secondary school, he began to intensify his training which gave him a hectic schedule, consuming all of his “free time” resulting in a little-to-no social life. Things continued that way as Hoe enters the university, on which he would attend classes from 8am until evening, and then proceed on training for two hours before ending his day. He graduated recently and was currently working as a full-time dentist for about two months, but he still trains six times a week as a preparation for major competitions. Hoe was already considering retiring in the gymnastics discipline after the upcoming Asian Games in September. However, he has changed his mind as he wants to participate at the World University Games in 2016. It is a competition that Hoe holds in high regard, as he enjoyed the previous editions of this event; in Shenzhen in the year 2011, and Kazan in the year 2013. “It’s like the next big thing after the Olympics,” he said. The Singaporean gymnast holds no regret in dedicating a large portion of his life for gymnastics, in spite of the relative lack of medals or fame, as he is happy to represent Singapore. Get the most recent news and updates regarding gymnastics by visiting the official Facebook page of Bianka Panova Academy. Should you be looking for a school that teaches gymnastics for kids, you could check and visit the official website of Bianka Panova Academy.